Mary Maples Dunn—a historian and scholar who served from 1985 to 1995 as Smith College’s eighth president—died Sunday, March 19. She was 85. 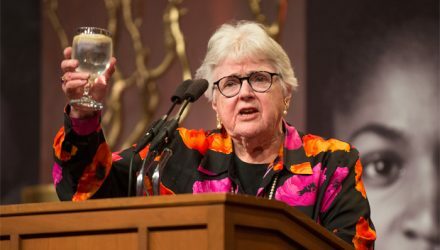 Dunn was a champion for women and women's education. In her decade as Smith’s president, Dunn led the college through exciting and challenging times. 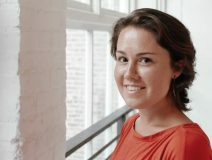 Students and faculty in the Department of Music have had a rare opportunity this semester to work with artist-in-residence Caroline Shaw—violinist, composer and vocalist for Grammy Award–winning ensemble Roomful of Teeth—and the youngest recipient of the Pulitzer Prize for Music. 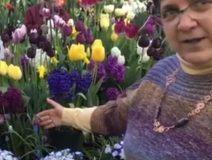 In case you couldn’t get to campus to see Smith’s annual spring bulb show, take the Facebook Live tour with Madelaine Zadik, manager of education and outreach for the botanic garden. The bulb show ran through March 19. This year's theme was “Fields of Flowers.” Sara Haines ’00, co-host of The View, will be one of the keynote speakers at “Pushing Boundaries: Smith College Women’s Leadership Conference.” The Smith community is welcome to register for the conference, which takes place on campus March 31 to April 1. John R. Clarke, Regents Professor at the University of Texas at Austin, will deliver the 27th Annual Phyllis Williams Lehmann Lecture, “New Research Strategies and Recent Discoveries at Oplontis.” More than 200 rare artifacts uncovered by Clarke and his research team are currently on view at the Smith College Museum of Art in the exhibition Leisure and Luxury in the Age of Nero: The Villas of Oplontis near Pompeii. The lecture is Saturday, March 25, at 11 a.m., at Weinstein Auditorium. It is free and open to all. Program attendees are invited to a complimentary lunch at the Smith College Conference Center immediately following the lecture. Find out why Kate MacShane SSW ’14 and her husband founded the Frederick, MD, chapter of Showing Up for Racial Justice, an advocacy group with chapters nationwide aimed at organizing white people to stand up for racial equality and related social justice causes. In a recent workshop, Rachel Simmons, leadership development specialist for Smith’s Wurtele Center for Work and Life, introduced students to “The Art of Small Talk and Networking.” The workshop, co-sponsored by Smith’s Lazarus Center for Career Development, focused on teaching effective networking through conversation. CHEMICAL & ENGINEERING NEWS: Prof. Annaliese K. Beery: Are biomedical researchers forgetting females?